"Jin Shin Jyutsu® physio-philosophy is an ancient art of harmonizing the life energy in the body. Born of innate wisdom and passed down from generation to generation by word of mouth, the Art had fallen into relative obscurity when it was dramatically revived in the early 1900's by Master Jiro Murai in Japan." Go to jsjinc.net to learn more about this alternative healing art. "A little over 100 years ago a Japanese man, Mikao Usui, began a personal search that ended with his having contact with the energy Reiki...The Japanese word ‘reiki’ can be translated as ‘universal life energy’ and the Usui System is a way of working with reiki for healing of self and others. The word healing is used in the sense of regaining harmony and wholeness. 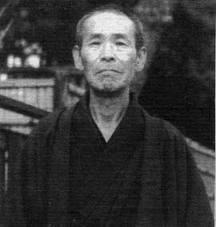 Usui Shiki Ryoho addresses the whole person on the physical, emotional, mental and spiritual levels and those that we cannot identify at the present." Go to The Reiki Association for additional information.